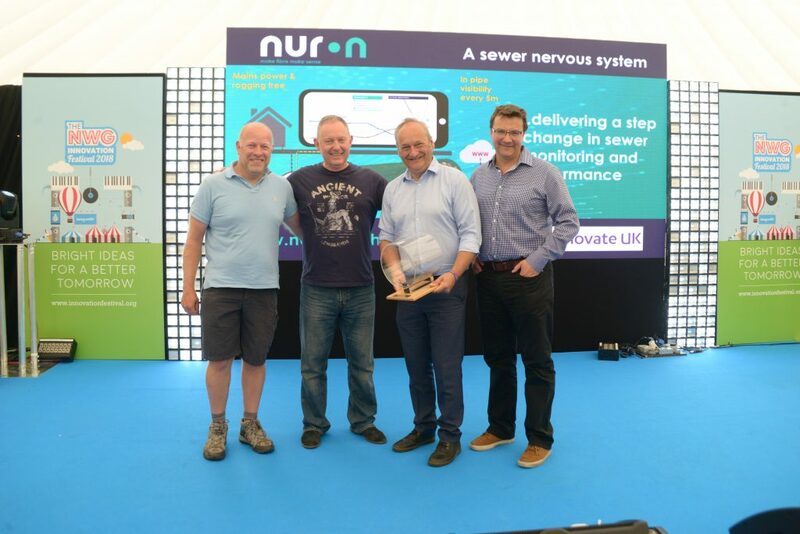 The world’s first sewer nervous system, implementation project has been launched by Northumbrian Water Limited (‘Northumbrian Water’) (www.nwl.co.uk) and nuron Limited (www.nuron.tech) at this year’s Northumbrian Water Innovation Festival. Flash back to the Northumbrian Water Innovation Festival 2017, one of the Sprint teams asked whether it might be possible to use optical fibres to monitor the wastewater system? A few people in the room already knew that Northumbrian Water had been working with an innovative young company called nuron for nearly two years on just such a system. This year, at the Northumbrian Water Innovation Festival 2018 nuron and Northumbrian Water launched the world’s first deployment of a continuous in-pipe sewer monitoring solution into the North East’s sewer network. The nuron technology acts like a nervous system, it increases data availability from 1 measurement every 150km plus, to up to 4 flow and condition measurements every 5m. This real time dense data supports Northumbrian Water’s transformation to a proactive and predictive management system for their sewers. By early 2019 this nervous system will be monitoring the status of part of the live sewer network to help Northumbrian Water target maintenance; ensure that incidents are avoided; and improve the efficiency of the sewer system – good for both customers and the environment! Launching the project. Right to left, Richard Murray, Nigel Watson, Mike Ainger and Richard Warneford. “This has all been made possible by the tenacity and foresight of Northumbrian Water, who were prepared to think outside the box and support us through a lengthy and challenging development programme. This project launch is a great milestone for nuron, Northumbrian Water and our key research partners the University of Sheffield”.